A concept design for a series of cabins on Waiheke Island, near Auckland. The design is deliberately restrained, and is inspired by modernist beach houses of the 1950s and 1960s. 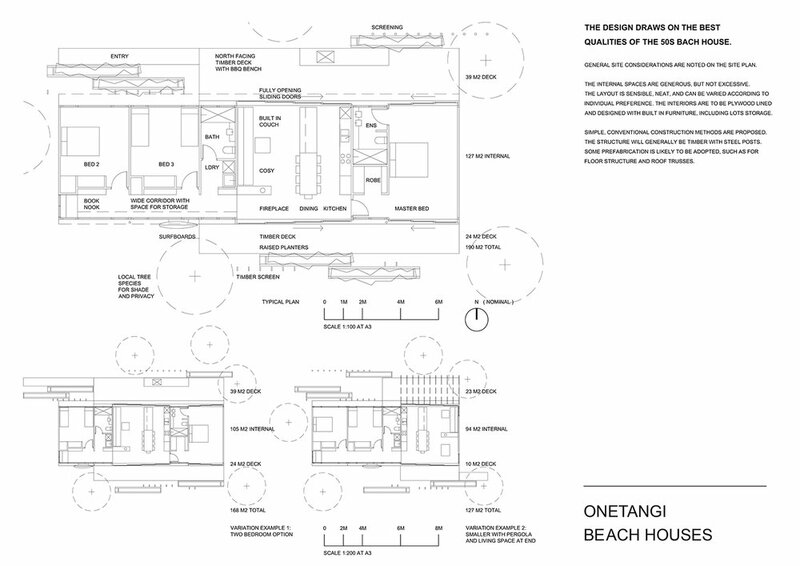 The site arrangement allows cabins to be oriented north, towards sun and sea. Cars and boats are parked at site edges, allowing communal open space.